Gateway solo 2550 Laptop with 500MHz pentium 3 processor, 128MB of ram and windows 98 SE. The 12GB hard drive has been replaced with a 16GB SD card. This laptop has a motorized floppy drive. There is a small crack and discolouration on the top of the laptop, as shown in photos. 1Gig RAM # 80 Gb Hard Drive. 7 ZIP FILE COMPRESSION MANAGER. Touchscreen swivel Laptop. Laptop and stylus only no other accessories included. scratches and cracks on lid. 80GB Hard Drive. I have securely wiped the HDD and clean installed Windows Vista Basic with all updates installed to the date Vista went end of life April 11, 2017. The only thing I have installed is the latest driver's for the hardware. HP / COMPAQ / ACER / GATEWAY LAPTOP BIOS PASSWORD. includin g of HP Compaq Mini Netbook. or F2 or F12 at the first, second or third password prompt to get the "System Disabled Code". UNLOCK AND REMOVAL SERVICE. GG386, 312-0445, FG442, TA1, 916C4610F, SQU-508, 916-4610F, 916-4790, 1066516, 916C4790F, 106651, 3UR18650F-2-QC-TA1K, QNB1BTIZZZ0125, QNB1BTIZZZ00D4, QND1BTIZZZ00E2, 104891, 6501060, 6501091, AHA63224827, SQU - 515, AHA63224A69, 3RU18650F-2-QC-TA1K, VB47151000102, SQU - 507, 2TA1BTLIC01, AHAC4322018, SQU - 515, 2TA6BTLI607, 2TA1BTLI603, 916C4790F, 6500983, 4UR18650F-2-QC-TA1, 2TA1BTLI808, AHA84226004. Gateway NV55C03U. WXGA HD 1366 x 768. Ecran Panel Display Screen. Slab LED 15.6". La TVA (19,6%) est récupérable pour les professionnels. Caddie - Rack. Dépôt Espèces (dans n’importe quelle agence BNP Paribas). Gateway Solo 450XL Gateway Solo 450 X Gateway Solo 450SX4 Gateway 450SP Gateway 450ROG Gateway 450RGH Gateway Solo Solo Solo Solo 450th Gateway 400VTX Gateway Solo 400SP Solo more Gateway Solo 400SP Gateway Solo 400SD Gateway Solo 400L. 235W 12V 19.6 has. Need to change the hard drive?. Optical Drive. Deposit cash (in any agency BNP Paribas). NEW PRODUCT. after sales service. after sales service After Sales Service. (only for France). Numéro de pièce fabricant W32044L. Gateway MX3563 Notebook - 4994. 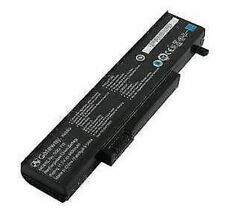 Gateway MX3562 Notebook - 5415. Gateway MX3563 Notebook - 5506. Gateway NX250X Notebook - 1008589. 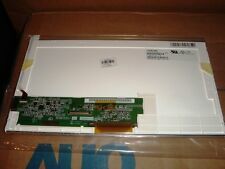 Gateway NX200S Notebook - 1008574. Laptop Parts and Electronic Products Wholesaler, Distributor and import. after sales service After Sales Service. Deposit cash (in any agency BNP Paribas). (only for France). Our laptop computer products. Laptop Parts and Electronic Products Wholesaler, Distributor and import. after sales service After Sales Service. Need a player internal?. Internal card. Deposit cash (in any agency BNP Paribas). (only for France). D battery' ORIGIN GATEWAY. 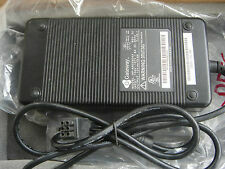 Gateway T-6208 c. Gateway T-6307c. Gateway T-6308c. Gateway T-6311. Gateway T-6313. Gateway T - 6313 h. Gateway T-6315c. ORIGINAL Gateway battery. ORIGINAL Gateway product. Laptop Parts and Electronic Products Wholesaler, Distributor and import. after sales service After Sales Service. Transfer station. Deposit cash (in any agency BNP Paribas). GATEWAY LT2802U. WSVGA 1024 x 600. Ecran Panel Display Screen. 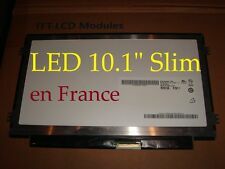 Slab LED 10.1 "Slim / Fine". expédition de France. Dépôt Espèces (dans n’importe quelle agence BNP Paribas). Laptop Parts and Electronic Products Wholesaler, Distributor and Importer. D battery' ORIGIN GATEWAY. Gateway 6000 Series. Gateway 6020 Series. Gateway 6500 Series. Gateway M Series. Gateway MT6700, MT6800, MT6900 Series. NX800 Series gateway. Gateway S7200, S7300 Series. GATEWAY LT2104U. Screen Panel Display Screen. Slab LED 10.1". Our products Photo / Video. Dépôt Espèces (dans n’importe quelle agence BNP Paribas). Laptop Parts and Electronic Products Wholesaler, Distributor and Importer. 6MSB, 6MSBG, 3UR18650F-2-QC-MA1, 3UR18650F-2-QC224, 2MA3BTLI603, 2MA3BTLI646, 2MA2BTLI601, AHA63224819, B1425010G00002, 6500948, AHA63224A34, AHA63224614, B1425010G0001, 916C3360, 916C3360F, 8MSB, 8MSBG, 12MSBG, SQU-412, SQU-413, SQU-414, SQU-415, SQU-516, SQU-517, 916C3350, 916C3350F, 2MAT2BTLI813, 2MA3BTLI808, 6500949, AHA84224036, 4UR18650F-2-QC-MA1, 4UR18650F-2-QC223, 2MA3BTLI808, AHA84224125. MX8710, MX8711 MX8715. D battery' ORIGIN GATEWAY. M360, M360S, M360SB, M360SE. Gateway 6000 Series. Gateway 6020 Series. Gateway 6500 Series. Gateway M Series. Gateway MT6700, MT6800, MT6900 Series. NV5302U, NV5331U, NV5333U, NV5336U, NV5337U, NV5356U, NV5362U, NV5369ZU, NV5370U, NV5373U, NV5376U, NV5378U, NV5380U, NV5381U, NV5383U, NV5384U, NV5385U, NV5386U, NV5387U, NV5388U, NV5389U, NV5390U, NV5394U NV5335u NV5321H NV5329H NV5366H MS2288 MS2274 MS2285. NV55C ID58 ID59 ID NV5302U, NV5331U, NV5333U, NV5336U, NV5337U, NV5356U, NV5362U, NV5369ZU, NV5370U, NV5373U, NV5376U, NV5378U, NV5380U, NV5381U, NV5383U, NV5384U, NV5385U, NV5386U, NV5387U, NV5388U, NV5389U, NV5390U, NV5394U NV5335u NV5321H NV5329H NV5366H MS2288 MS2285. NV50A NV53A NV55C NV59A NV55C26u NV53A05U, NV53A11U, NV53A24U, NV53A32U, NV53A33U, NV53A36U NV53A24u. AZERTY keyboard. Need a QWERTY keyboard?. French keyboard. Need to change the hard drive?. Optical Drive. Powering on but nothing on the screen. No more tests done. Gateway w340ua screen looks fine Packard bell mit lyn01 screen looks fine, 512 mb memory ram , charging port broke??? No power. Missing parts. No hdd and ram. Missing screws. And maybe other parts missing. Laptop looks like someone open and try to fixed. Don't know what is wrong with this machine. Selling as spare or repair. selling as seen in the pictures. No HDD. No RAM. No charger. 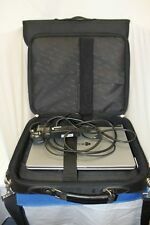 This laptop is untested and that is why we are selling this as seen in the pictures. GATEWAY LAPTOP. INCLUDES POWER LEAD, NO DISCS OR CASE. CHIP OUT OF ONE CORNER. MOUSEPAD / POINTER DOES NOT WORK PROPERLY. CONNECTION ON PLUG/ADAPTER IS LOOSE INSIDE. HAS TO BE IN A CERTAIN POSITION FOR IT PROVIDE POWER. Sold as Seen for spares / repair only. Best Quality. Money back. Lancashire, UK. Blackburn, BB1 1DH. Aquamania, Higher Audley St. Any requests for order cancellations after the period of 2 hours will be denied. Does not TURN ON. Warranty information can be found at the bottom of every product’s page. The Product has been tested as Defective and can be used for Parts only. This Product has been professionally tested to be Non Working Defective for Parts Only. Sold as spear and repair. Spear and repair. Gateway PA6A: ram 2gb :no hard drive: no caddy and hard drive cover: two missing key from the keyboard. Acer aspire 5734z :250gb: 3gb:one broken hinge plastic. M210, M250, 3000 series. Numéro de pièce fabricant W32044L. Gateway M210 Notebook - 1008255. Gateway M250 Notebook - 2900782. 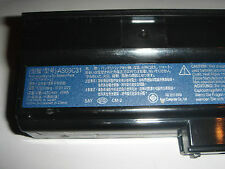 ORIGINAL Gateway battery. Gateway M250A Notebook - 2900807. Gateway M250B Notebook - 2900808.